CEO Moya Greene admitted that the UK parcels market was 'challenging'. Royal Mail’s early shareholders were looked upon with jealousy by the hundreds of thousands of retail investors who missed out on a chance to snap up shares in its privatisation last year, but today there are signs the group is struggling. It reported a 21% fall in half-year operating profits to £232m amid increasing competition from rivals like Whistl (formerly TNT Post) and DPD. Group underlying revenues were up 2% to £4.5bn, driven mainly by its European parcels business GLS and a relatively strong performance of letters. Royal Mail’s real headache, though, is UK parcels, for which revenues were down 1%. It warned that the growth of Amazon’s own delivery service will restrict the growth of its parcel business to 1-2% per year, down from the 6% growth predicted at the time of its IPO last October. 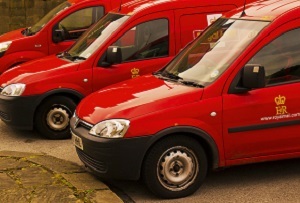 Royal Mail had already suffered when Amazon scrapped free 'super saver' delivery for items under £10, but is expected to be hit harder by the retailer’s latest decision to launch a same-day service with Smiths News. Amazon's planned automated delivery drones, which will reportedly be tested in Cambridge, could also be a threat. The company took the opportunity to take aim at the current regulations which force it to deliver to any address in the UK for a fixed price. It has argued that this gives rivals an unfair advantage as they can 'cherry pick' the addresses they deliver to to avoid unprofitable deliveries. Its share price was up when the market opened this morning but has since plummeted by more than 9% to lows of 425p, down from a peak of 485.2p this week, although still way above its IPO price of 330p.